A small town between Hangzhou and Suzhou, built on canals, proud to be the birthplace of the great writer Mao Dun (1896-1981) , but who must now share the glory with Mu Xin. He was born in 1927 into a wealthy family who gave him a classical scholar education. 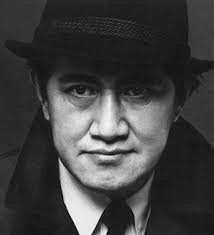 He studied painting in Shanghai and then at the Academy of Arts in Hangzhou with Lin Fengmian as a teacher. He writes, he paints, a job as a designer, but all his works were destroyed during the Cultural Revolution and in 1971, he even spends eighteen months in prison in a bomb shelter. Paper provided to write his criticism, served him to write sixty-six pages of “ Notes”: a fine and close writing, far away from the contingencies of prison life, a dialogue with leading intellectuals, his models. During house arrest, he could paint at night; he will take these works with him when he left for the United States in 1982. He started to be published in Taiwan, but he never wrote in English. Only two painting exhibitions but in 2001 in the prestigious Yale University. He was a loner who shuns media but his reputation grew in Taiwan where nearly twenty books have been published and in China. In 2006, Wuzhen authorities asked him to come back home; his books are then published in China with great success. Without wife or children, he died in 2011, surrounded by some of his readers. 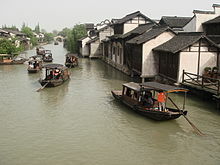 Emotion on the web, imposing funeral, Wuzhen wants now to build a dedicated museum. This is a classic genre that mixes in a very free manner, poetry, fiction, essays or impressions. Mu Xin admires the authors of the Tang and Song dynasties who illustrated this genre but thinks also that Montaigne is on the same line. All these very personal texts are written in the first person, it is the work of an esthete, a very individualistic writer who wants to remain out of history. He relates to this tradition which is also that of the “yimin ” painters ” abandoned “painters, scholars who would not join the Yuan Dynasty ( 1271-1368 ). Cut off from society and politics, their painting, silent poetry, held a central place in their lives and for their survival. This painting has often meant a return to the past. Mu Xin’s work borrows techniques from the East and the West, a compromise between ink and gouache. A landscape painting that is not influenced by the work of his master Lin Fengmian . A catalog by Alexandra Munroe presents his exhibition and an article of the Asia Society reproduces many of his paintings. Thirteen texts chosen by the author in three of his published collections in Taiwan have been translated by Toming Jun Liu, a professor of literature at California State University in Los Angeles. 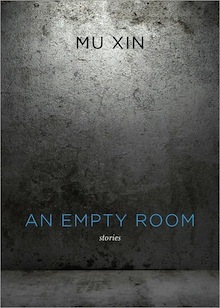 This book, “An empty room» was published by New Directions, a prestigious publisher founded in 1936 by James Laughlin (1914-1997). Melancholy of age and aging: a visit of a child to a temple and a lost bowl leads to “The moment childhood vanished.” Loss of identity as all his pictures as a child have been destroyed; but even if a child, the son of a neighbor resembles the author, a photo cannot remind him of his own childhood. Other beautiful texts are also from an autobiographical inspiration: Xia Mingzhu was the lover of his father, she is killed by the Japanese Kempitai, the mother allows her to be buried in the family cemetery … A piano teacher analyzes the developments of his love relationship with Fong Fong. But sent to the countryside during the Cultural Revolution, the peasant and mother of two boys she has become, does not remind him of memories of yesteryear. Sometimes we have a real short story with a plot and a conclusion. «Eighteen passengers in a bus ” mock the driver; the narrator takes his defense, the driver does not accept it and forces him down and … saves his life. 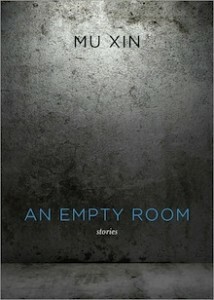 “An empty room”, a small volume of 150 pages, my Christmas gift!